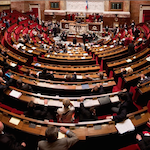 Incident at the French Assembly on Monday 6 October: the UMP MP Julien Aubert, despite being reminded that this was not acceptable, continued to address the session chairwoman, Sandrine Mazetier (PS), as “Madame LE president” rather than “Madame LA présidente”. The MP was ended up being fined 1378 euros... « Shocking » for some but for others “he deserved it, he was looking for trouble”. 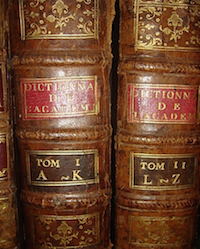 French Academy vs. National Assembly… One of the debates only France holds the secret to! This quarrel around the feminisation of titles has been going on for ever, but this is the first time it has become the subject of a penalty. Most right-wing MPs refuse the feminisation of the functions. Why? Because “only the masculine gender (…) can be used in relation to the neutral nature of titles, ranks, dignities and functions.” In other words, a political function cannot be identified by the person who is performing it. It should remain neutral and hence use the masculine noun in French. A lot of fuss for not very much, you might say… but the incident on 6 October raised a more serious issue. Explanation: according to the dictionary of the French Academy, “ambassadrice” (“ambassadress”) refers to “the wife of an ambassador” and not to a woman who is an ambassador, as well as the term “présidente” denotes “president’s wife.” There is no word however to qualify the person who would be the husband… of the president. This is where it gets tricky: the French Academy refuses the feminisation of the titles so that the political function stays neutral, and does not get confused with the person who is occupying it. But because there is a formula to name the spouse of the president or the ambassador, the words used to refer to these functions seem to have been suited for men. In reality, feminisation of the functions is a very symbolic matter, not a linguistic one. It is a fact that today, more and more women hold key roles in business, politics and other fields, for instance a quarter of MPs are women – 155 députées (as per the Assembly) in total or 155 députés (as per the Academy). It is definitely time to realise that parity has a place in the language as well (and in the Academy where there are only five women out of forty members by the way!). The process is under way. So let's shake up the male bastion that is the Academy.